Eighty-year-old Bert Riley is a former movie tough guy living comfortably and surrounded by good friends, all vets from Hollywood’s Golden Age. With a scrapbook full of memories, life has been pretty good to him. But he never expected any more surprises out of it. That’s before he receives word on Thanksgiving that Marie, the estranged daughter he hasn’t seen in decades, is in the hospital following a car accident. And Becca, the ten-year-old granddaughter he’s never even met, is moving in with him! 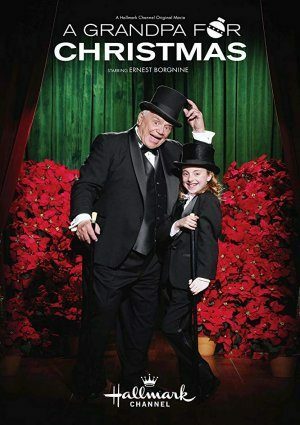 I loved the movie, A Grandpa For Christmas. I was a product of a broken family, so seeing movies about restored relationships is heartwarming. Thank you. God bless.